I am not a tea drinker, but I love this colorful tea wreath idea. You could switch it out with hot cocoa and it would make a great neighbor gift this Christmas season. 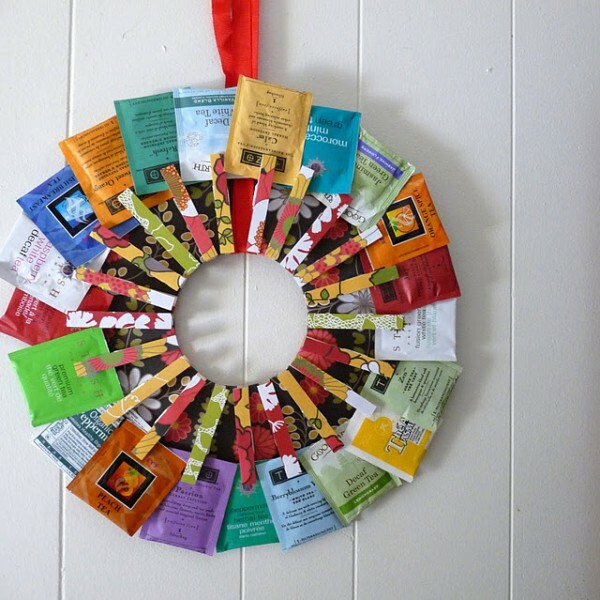 You can check out the tea lover wreath over at Dollar Store Mom. I taught this at a Girl Scout workshop. My sample had photos in it. Very easy craft, and the girls loved it! I made this for my mother. What a wonderful idea! I made a much smaller version, to add to the outside of her gift, as an embellishment to the wrapping. :) Perfect way to use up some of my scrap wrapping paper too!